You want to prepare for the Project Management Professional (PMP) Exam and don’t know from where to start then here is a guide for PM Plan that you should follow before sitting for PMP Exam. If you have already read the PMBOK (a guide to the Project Management Body of Knowledge) that talks about the Project Management Plan and still confused then this article will help you to come out of all your confusions and understand the essentials of Project Management Plan that will lead you towards PMP Exam success. 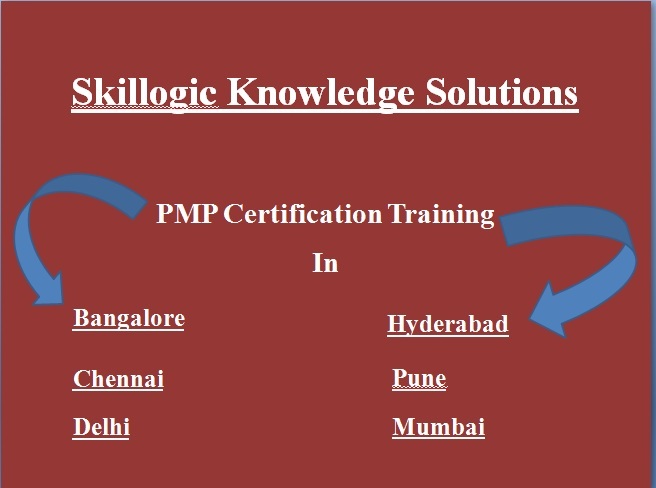 Skillogic is providing best training for PMP Certification in Hyderabad, Bangalore, Chennai, Mumbai, Delhi and Pune etc. This article helps you to understand what is Project Management Plan, it’s essential for project success and PMP Exam success, about additional plans and documents, as well as changes made to the Project Management Plan once approved. The PMBOK Guide mentions that the Project Management Plan is the document that explains how a project is accomplished, supervised, and managed. The Project Management Plan consists of documenting hypothesis and decisions; to correspond how the project will be completed; and documenting high level goals, expenses, and targets. The Project Management Plan created is much more than a single document, incorporating additional plans and documents created during the Planning Process Group that is likely to be revised during the progress of project and it is the living document. The Project Management Plan should answer to questions like why a project was promoted, what problems it is likely to find out, or what significance the project is likely to put in. It should explain the work to be executed and about the major deliverables or products. It should help you to spot, who are occupied in the project, their responsibilities, and how they are structured. It should describe how the work to be executed to meet the project goals and how to monitor and control any changes. If all these are integrated in the Project Management Plan then you will be able to answer all the questions that will occur during a project. The additional plans can be explained based on the type of plan, the particular requirement of the project and the requisites of the performing organization. For an example, the Cost Management Plan is the subsidiary plan of the Plan Cost Management Process. Additional documents are the starting point or the baselines developed as part of the Planning Processes, which comprise the schedule baseline, cost performance baseline, and scope baseline where the scope baseline consists of scope statement, WBS, and WBS dictionary. Some of the additional plans of the Planning Processes are Scope Management, Schedule Management, Requirements Management, Process Improvement, Quality Management, Communications Management, Procurement Management, Human Resource, and Stakeholder Management. Changes in the Project Management Plan are brought through a Change Control System. This system includes of methods to appeal, reassess, and consent changes. Appeals are normally made using a form, either through paper or electronic, later appeals are reassessed by the project manager, project supporter, select set of stakeholders, a change control board, or by whoever is responsible to reassess appeals by the performing organization. Once the change is consented the Project Management Plan is restructured. Changes that are not appealed through the Change Control System or consented should not be executed as it will let the project go out of control. As it is well-known that practice makes perfect, it is advised to you to explain to one of your friends (who is not a project manager) about Project Management Plan, its development and changes, so if you win in it then it will lead you to success in PMP Exam and shows that you have clearly understood the use of Project Management Plan in your projects. If you are looking for PMP Training in Hyderabad, take training from Skillogic and clear your certification. Not only in Hyderabad if you are looking for PMP Certification Training in Chennai, Bangalore, Delhi, Mumbai, Noida and Pune schedule you are training classes with Skillogic.